Will Demand, from MC Scow fleet 105, finished 2nd in the 60 boat 2019 MC Scow Midwinters in Eustis, FL. This is remarkable because it was his first major regatta in the boat. Will graciously shared his regatta notes. I could not have asked for a better four days of sailing. Temperatures in the 80s, conditions ranging from heavy to light, great Fleet 105 companions (Matt, Sean, Mark) and BOAT SPEED. Thinking back at why I was so consistent over the three days: a little luck, being conservative at starts, and boat speed. My North Zmax performed well in all conditions. It bladed out nicely with lots of twist in the breeze and powered up even better in the light stuff without me changing my rig settings. Since I was not changing my rig as the conditions changed, I had to change the way I trimmed and my board angle. Here are my notes from the midwinters race by race. Start – Great start in clear air, half way between weather end boat and midline boat. Rounded the 1st weather mark in 3rd. Choosing a side up wind –The first race had similar conditions to the practice day the day before. I noted the darker clouds brought more breeze. I choose to sail middle to the side that had the darkest clouds up wind and it really paid off. 1st and 2nd upwind middle right and 3rd middle left. Choosing a side downwind – wind was right both times at the top mark. I waited a little tojibe so I didn’t sail under the line of starboard tackers coming into weathermark. Once I did jibe, I was right on the leeward mark. Made sure the windwasn’t too far aft since I wasn’t sailing with much board. Upwind sail trim – sheeted very hard, once I got my bow out. I cleated the Mainsheet and traveler sheeted. I was able to control the mast bend and leach much easier. I felt when I was vang sheeting I lost too much of the leach and the mast straightens powering up the front of the Zmax too much forcing me to feather the boat into the wind and waves more than I would like. By dropping the traveler, I was able to keep the Zmax very flat forward with lots of twist and I was able to hike hard and put my bow down. Traveler sheeting is risky if I got hit by a big puff and ran out of traveler. This happened once and I had to jam into the wind for a few seconds to get the mainsheet. If I would have headed down at all I would have turned over. Vang, Cunningham and outhaul were maxed. Downwind setup – eased vang to take the bend out of the mast and boom only. Left outhaul slammed,eased Cunningham a few inches. Weatherboard down much less than I would have thought. Front edge of the neck of the board at level with deck. Start – OK start in clear air down at the pin with a header. Only problem was the upper end had a little more pressure and a few boats got a jump on the boats at the pin. Within 30 seconds of the start I kept to my plan. Tacking with a good angle with only one duck transom but had a clear lane back right with about 15 to 20 boats in front of me that started in the upper quarter of the line with better pressure. Choosing a side up wind –Middleto right because of the forecast and darker water. Rounded 1st weathermark in 8th and the 2nd time up I worked middleright round 4th. After I jibed my forestay came off. Lucky themast did not come down. With the mast pinned forward by the wind, I ran forwardgrab the mast then forestay before the boat turned up into the wind. Pin stayedon the deck. Muscled the forestay back into position and re-pinned it. Lost 10boats but could have been a DNF. VERY VERY lucky. Lesson learned: I’m buyingstock in 3M. Choosing a side downwind – whatever jibe that didn’t sail me under the fleet. Put a little Vang on pre puff and if the puff stayed, I put on Cunningham and trimmed harder. As wind decreased, I eased sheet and vang first then Cunningham. Downwind setup – eased vang to take the bend out of the mast and boom only. Would put more back on in puffs. Eased outhaul very light, Cunningham off. Weatherboard down much less than I would have thought. Front edge of the neck of the board at level with deck. Windward heel. Start – OK start ten boats down from the weather end. Was able to tack early but the person that tacked under me was a pincher. It was a slow painful port tack out right. But it was way better than sailing or crossing the middle. Right was looking great ¾ of the way up the leg. A lefty rolled in and the leaders came from the left. I rounded about 18. Lead boat from the right. The boats that tried the lefty from the right got killed. Choosing a side upwind – Lead boats jibed right away. They sailed through the fleet. Very slow. As the wind lightened, it was very important to line yourself up for the next puff. Instead of jibing I would sail by the lee to the next puff if it was tracking down inside me. Once I got to it, I would head up and sail directly downwind to stay in it the longest. I rounded the lee mark in about 10th. Most important thing about this race was boat heel and footing to keep your boat speed up. You need speed to point. As the breeze lightens, the apparent wind is different from the side stay yarn to the masthead. Masthead is actual and the lower side stay yarn is about 15 degrees more over the side so if you are just looking at the side stay yarn it would look like you are reaching around the course. 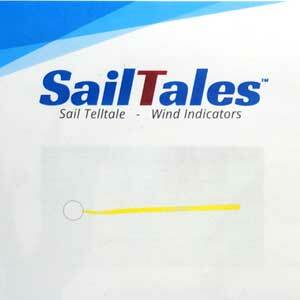 Upwind sail trim – Traveler middle all the time. Outhaul firm with crease along the boom. Vang little to none: just keep it a little short of a match to sheet tension. Very light cunningham. Firm sheet tension. Downwind setup – eased vang to take the bend out of the mast and boom only. Left a good amount on. If you don’t, you lose the leach. Eased outhaul until boom crease came out,Cunningham off. Leeboard front edge of the neck of the board at level with deck. Boom kissing the top of the water. Start and First Beat– Great front row start one boat up from the mid line boat. Stayed on starboard tack for about 1 minute or so dragging out with speed. With a large lefty the fleet flopped to port and a few boats that started at the pin got punched out. Was about 12th at weather mark. Got back with the lead pack by the leeward mark. Bill (Draheim) and Jim (Gluek) were now within reach. Remaining legs – Picked the right gate as did most of the leaders to avoid the downwind boats. In about 10th. 2nd weather mark unchanged position. 2nd leeward mark went to the right mark again. Jim and Bill went to the left mark and were sailing under the fleet. I really liked the left but I had a nice angle to get up (across) the course and stay in touch with the guys I needed to beat. Even though it was against one of my cardinal rules not to sail across the middle, I could cross Bill and was very close to Jim. The guys from the left that I rounded with won the race. I ended up 8th but got 2 boats in between myself and the current leader Bill Draheim. Jim Gluek got one boat between him and I. In the hunt for the final day. Wind 5 north northeast. Dying as the race went on. Prestart strategy – sitting tied for 2nd, 7pts out of first with 4th place 12 pts back from Jim and I. I only had to worry about two boats: 2726 Jim Gluek and 1973 Bill Draheim. I hung above and in the middle of the line until about 2:30 to go. I wanted to stay close to Jim to make sure I beat him. The pin was favored so I was going to start between Jim and the pin. Set board angle – 100 degrees (equals board neck level inside trunk). Start – Good front row start halfway between the midline boat and the pin. Jim started at the midline boat and Bill won the pin. With more pressure coming from the left I waved a few port tackers to get to the pressure. Bill was launched within seconds of the start and I knew at this point I need to sail for second. Picking sides and covering – I worked my way up the left side as the breeze was a little better there. Bill rounded 1st or 2nd. I was about 14th. Jim was in the 20s. The wind lightened on the downwind leg and it looked like right was the way to go the next time up. I worked my way inside the left leeward gate mark, getting room on about 6 or 7 boats. Most of the leaders tacked to the middle and sailed through the downwind boats. SLOW. I played two quick shifts and footed out to the right where I saw good pressure. As I went right. I kept an eye out for Jim. I never let him cross my stern even though he was 200 yds behind me. I wanted to sail in the same wind as he was. Lake sailing is crazy. You can loss 10,20 boats in a blink of an eye and he wasn’t getting away from me. Once I got to the pressure,it was a big up and I reached into the weather mark right on the heels of the leader Bill Draheim. Bill won the race I was 2nd and Jim was 4th.